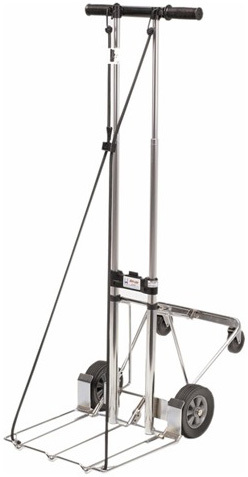 * The Super Cart 600 can carry trunks as heavy as 225 lbs. * The two front bungee straps make sure your cargo is secure. * Cart can fold up into a compact size for stow away. * Also acts as a dollie.